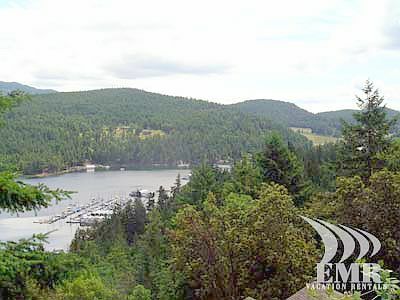 Maple Bay is an Island with road access. 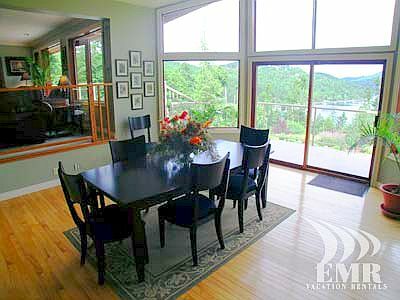 Luxurious secluded living, security, spectacular views, protected ocean access and complete privacy - all within easy access to town services. 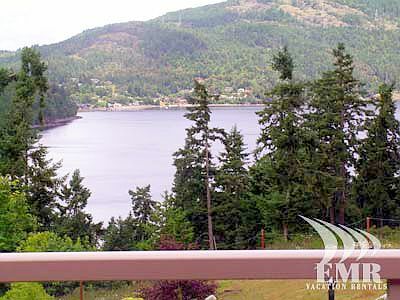 It is also important to note that this property can be reached by float plane from Seattle, Victoria and Vancouver harbours. 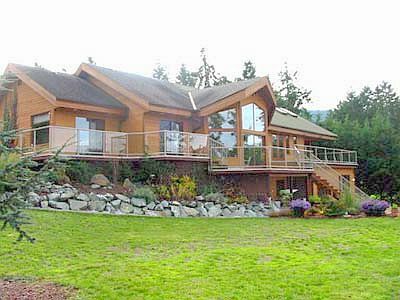 The harbour plane lands right in front of the house making it the perfect, easy access location for a quick 3 day get-away. 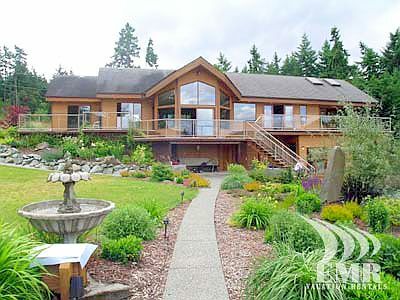 This 3800 sq ft West coast style house is the perfect recreational retreat. 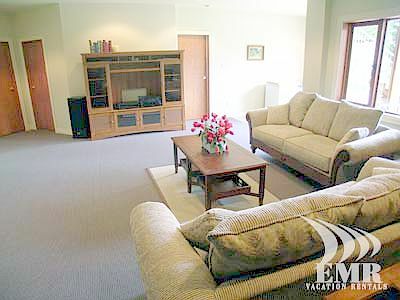 Once you are settled in you can choose to relax in the house and surrounding grounds for your whole stay uninterrupted by traffic, or neighbors. 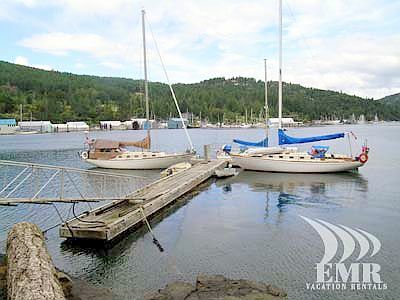 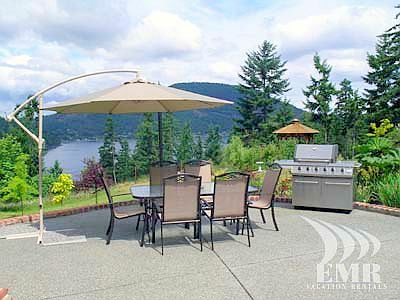 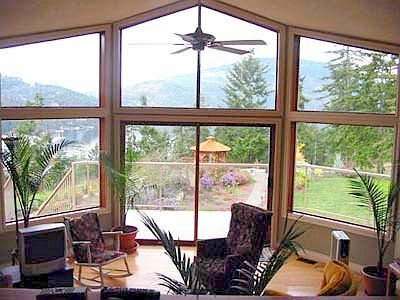 Enjoy serene views of Maple Bay from one of the many deck spaces, enjoy sailing and boating activities around the fully serviced marinas or hike through acres of shaded forest on various forestry paths and roads starting right from your back door. 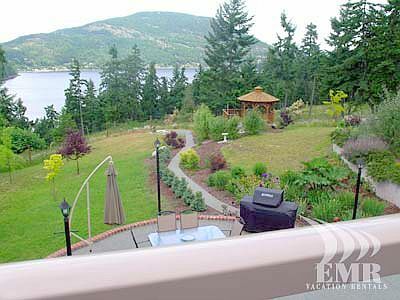 The property is on a peninsula and is surrounded by a forest reserve protected by a locked gate through which you can access the house by a 20 minute 5 km drive by vehicle. 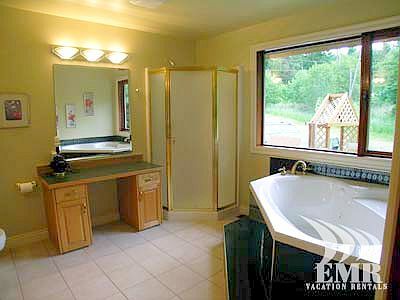 This virtually ensures your privacy. 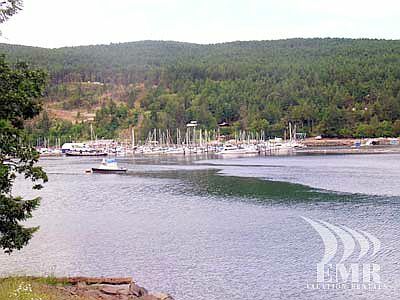 You can use this drive for access to the main roads throughout your stay or leave your vehicle at the marina parking lot. 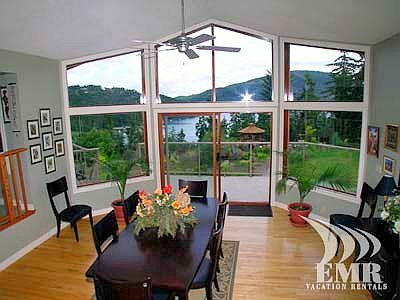 A 5 minute boat ride from the property's waterfront in the supplied motorized dingy will put you in your vehicle. 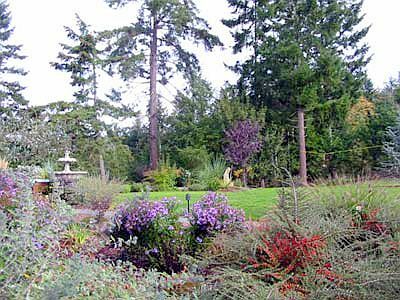 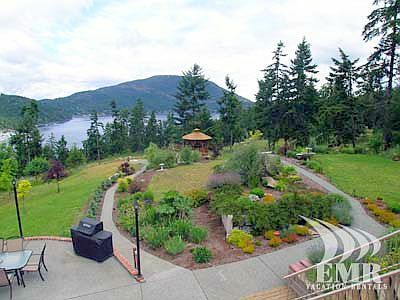 From there you are centrally located to explore the whole of Vancouver Island. 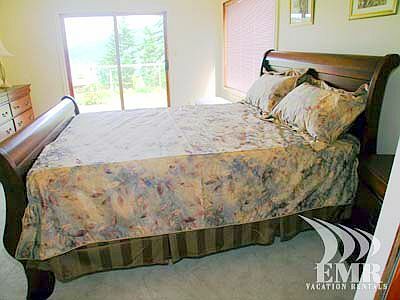 You are a short drive to the Town of Duncan, Gulf Island ferries, and the city of Victoria is 1 hour to the South. 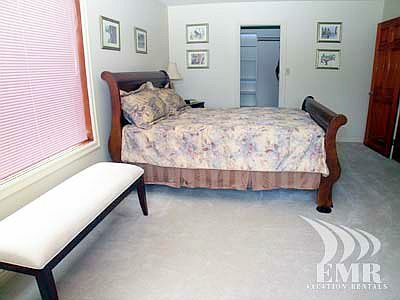 The houses large 20X20 master bedroom has a King size bed, large walk in closet, en-suite with shower and corner jacuzzi tub, wrap around windows and sliding door access to its own private deck space. 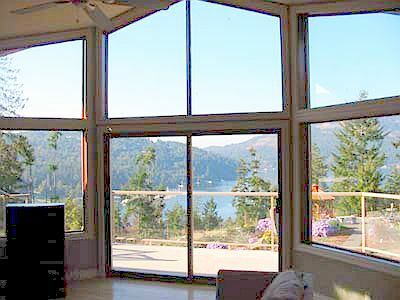 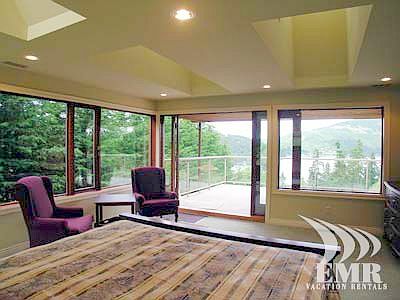 Four skylights provide a view of the moon and stars by night from the bed and you will wake to a panoramic view of Maple Bay through the ample windows. 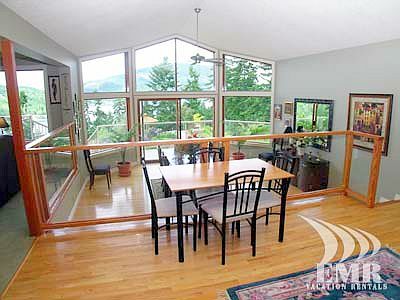 The other 2 bedrooms on the main floor have the same unimpeded view of the Bay and private access to the deck. 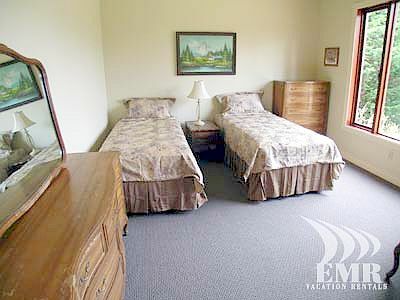 One has a queen bed with walk in closet and the other has 2 oversize twins convertible to a King if desired. 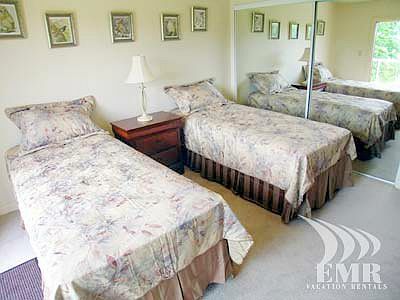 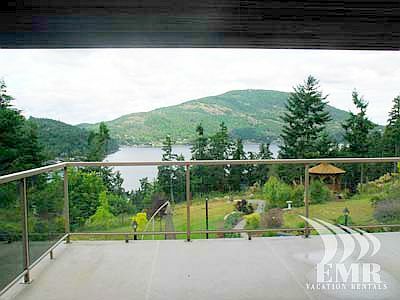 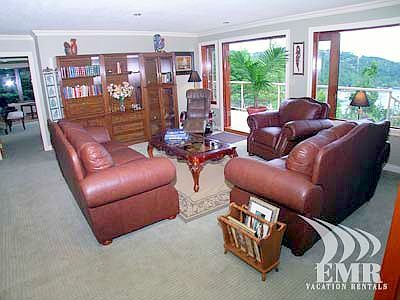 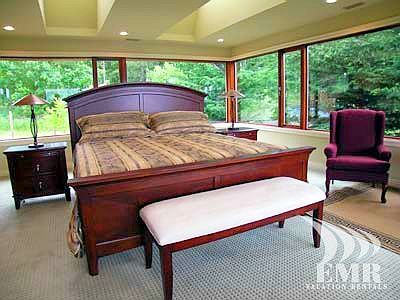 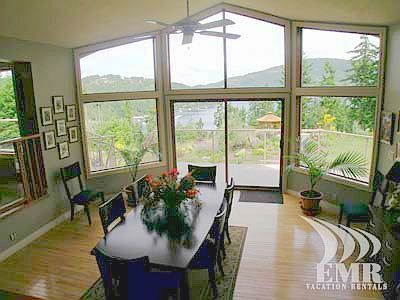 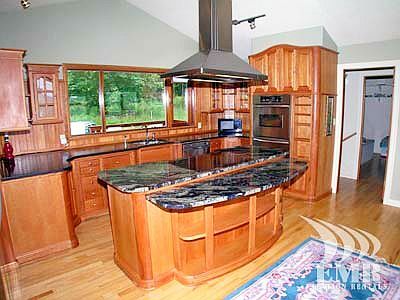 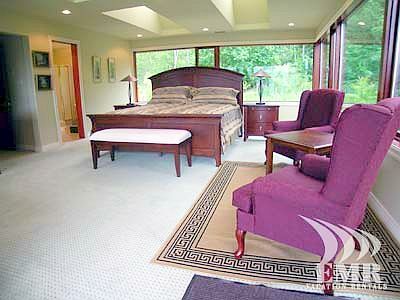 A ground level bedroom also has 2 over sized twins with views of Maple Bay. 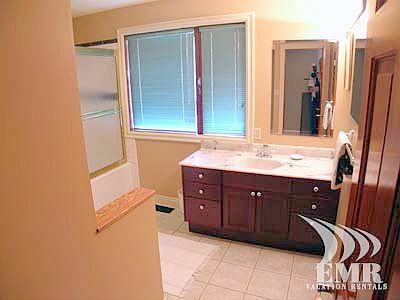 The main floor is a fully equipped handcrafted cherry wood kitchen with granite counters, new SS appliances including warming oven. 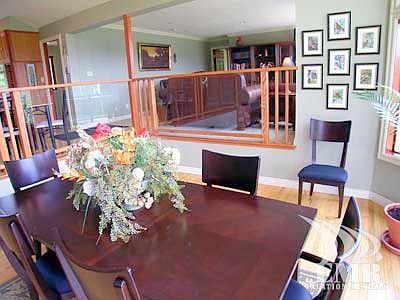 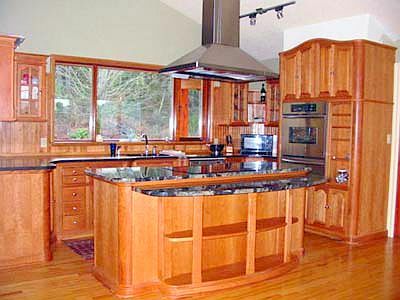 The kitchen, dining room and living room are all open design all with unimpeded Bay views. 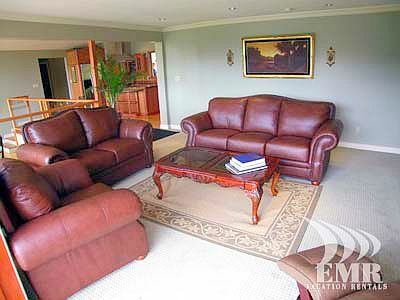 The plush carpeted living room area features all leather seating, entertainment unit, and of course, stunning Bay views. 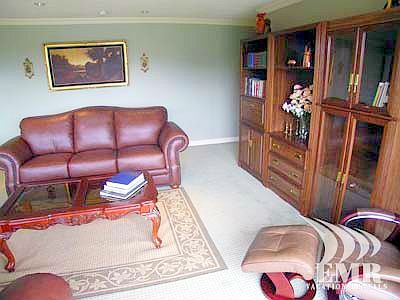 On the ground level there is a sitting area with TV/video and selection of videos and books. 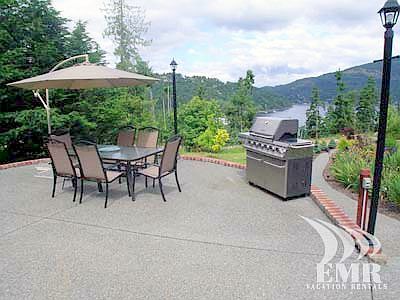 From here you can walk directly to the BBQ deck and outdoor seating.